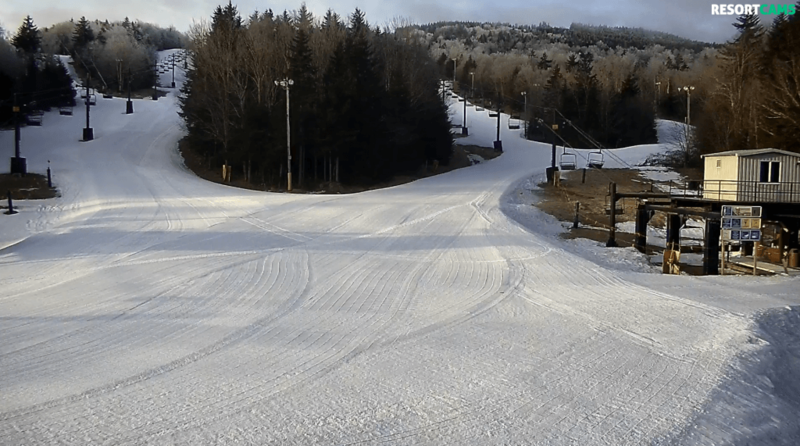 Home News First Trax The COLD IS BACK and so is Snow Making! 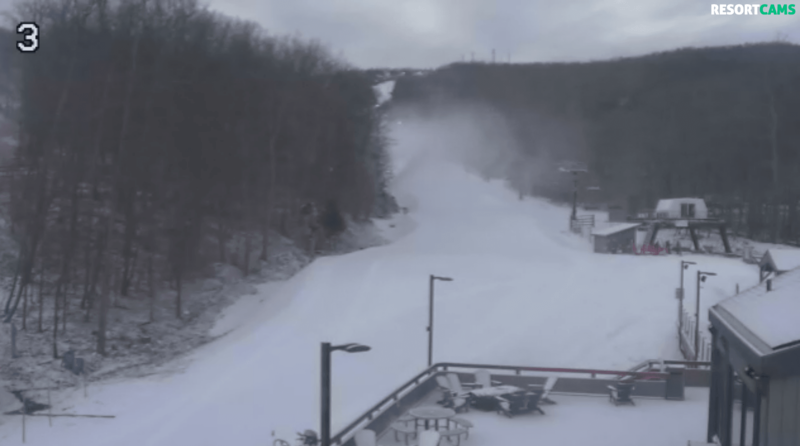 The COLD IS BACK and so is Snow Making! I’m going to try something a bit different today. Back in the day, way before the internet was a thing, the snow report used to be provided daily on the radio. Remember the radio? Okay, that’s a bit of a stretch to say that radio is no longer with us. However, everyone is now walking around with ‘computers’ in their hands and pockets and with that in mind, I thought we’d do things a little different by providing you guys and gals an audible/video version of the snow report today. You can also comment over on Facebook and Instagram. Here is the VIDEO SNOW REPORT for Saturday, February 9th. You can challenge your inner gold medalist today with NASTAR racing from 11am-2pm, register at either the ticket center on the lower level of the lodge or cash only registration at the top of the race course. Alley Cat Racing Trail will be closed from 9:30am-3pm for racing. Goggles are required for racing. Snowmaking is in progress and will continue as temps allow, snowmaking we’ll be bumping the mt today to resurface as much as possible. We are hosting USSA and USASA events this weekend which will keep Diamond Jim closed until early afternoon on both days and Pacesetter closed for Bordercross Sat and Sun. Looking great at Mass! Click to Enlarge! The Snow Tubing Park, Scenic Charilift, Ski Mountain Coaster, Ice Skating, Wild Life Encounter, Carousel, The Shops at Ober, The Seasons of Ober Restaurant and the Loft Lounge will also be available to guests of Ober Gatlinburg. Man Silvercreek looked ready to rip this morning! Click to Enlarge! The top of the mountain was SWEET as well! The Omni Homestead is open for skiing, snowboarding, tubing and mini snowmobiles today. 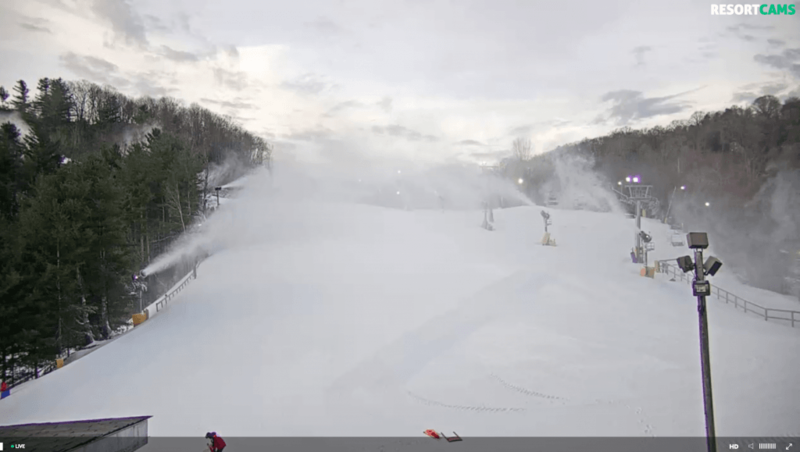 Snow making is underway and will continue throughout the day. Goggles and face masks are recommended. Not sure about snowmaking and they have not updated their report this morning. We’ll assume they are open with the same 9 trails. 100% Open and Conditions are Great! What a beautiful morning and we are in for an even better day. What a difference a day can make. 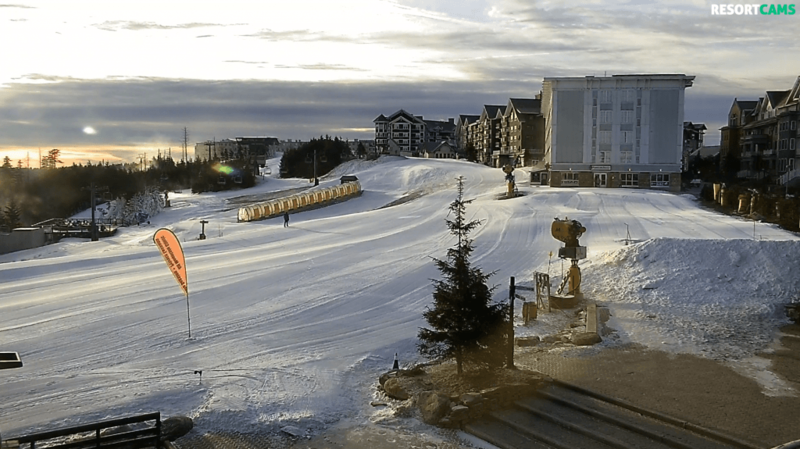 The slopes got a fresh coat of snow overnight and conditions are great. We are 100% open even with that curveball mother nature tried to throw our way. It’s Costume Day come join us on the slopes in your best costume and have the chance to score a free lift ticket. We will have 2 opportunities to win best dressed costume – 4:30pm and 9pm meet in front of Snow Sports School for the judging! Closing Comments…I think you guys will like this. What did I miss during the week? I leave you guys for a week and while I’m not manning the ship I see that 74° temperatures hit the mountains on Thursday!?!? Crazy huh? I mean we’re here promoting gathering for a Ski Summit March 1st and it’s 74° in the mountains! Thankfully, today, Saturday, February 9th, the temps have taken a 40 degree dip in most places and things feel more like winter. Before I dive into the happenings of this weekend AND the MUCH appreciated cold, snowmaking temperatures that have returned for a few days – I have to relate something that happened on Friday. 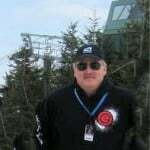 As many of you guys know, we also own and operate www.ResortCams.com. We sell high-quality camera systems for tourism purposes and we host those LIVE streams for entities really all over the world these days. On Friday, I got an email from a client who operates the Bayfield Inn, in Bayfield, Wisconsin and she was making me aware that their camera seemed to stop working. She wanted information on a new system. I answered her email and about an hour or so later I received a call from the Madeline Island Chamber of Commerce and she advised me that THEIR camera just stopped working. What made that all the more odd is the fact that Madeline Island is ALSO located in Bayfield, Wisconsin. I called Kenny Griffin, who wears a lot of hats for our firm…one of those being our camera and video server guy to inquire when the last time these two cameras posted a LIVE shot. Kenny advised me that each of those cameras had ceased to work within a couple of days of each other. What made that even more odd or rare is that one of the cameras was only three or four years old and the other perhaps 8-9 years old. Under normal circumstances, these professional camera systems are like Timex watches…they are nearly impervious to anything short of hurricanes or total destruction like we’ve seen in the Virgin Islands or Key West with some of our systems in the past. To have two cameras die within a day or so was a huge anomaly…until I looked at the weather during those few days. From Friday, January 25th to Thursday, January 31st the low temps in Bayfield, Wisconsin dipped below MINUS 35° four times. The coldest night was a crazy, Polar Vortex enhanced MINUS 52° F!!! I took a look this morning up there and the temp is a balmy 2°! Mystery solved! Crazy cold, huh? Great snowmaking temps hit early in the evening on Friday at most mountain locations and our snowmaking crews went to work bombing the slopes just in time to pretty them up and solidify a good surface for this weekend’s slope-warriors to play on. I hope you guys are FOLLOWING US on Facebook and Instagram as we are now inviting YOU GUYS to join us at Snowshoe Mountain for our annual SkiSoutheast Summit, March 1-3rd. You can get HUGE LODGING DISCOUNTS, FREE Sunday lift tickets for everyone in your room (up to the lodging capacity of your room) and we’re doing First Tracks on Sunday morning before the ropes drop for everyone else. SkiSoutheast is bringing more than 400 new shirts and hoodies, a couple hundred new beanies and tons of stickers…all featuring our new logo. Previous articleNo more ‘Mayuarary’ . . . Cold temps return!